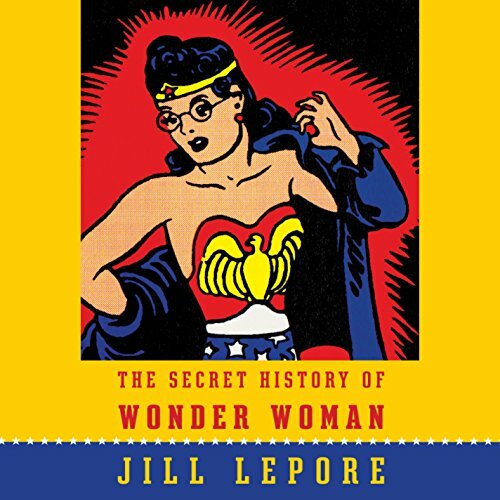 The Secret History of Wonder Woman (2014) by Jill Lepore traces Wonder Woman's origins to the women's movements of the early twentieth century, and connects the character's early portrayals to the life, work, and feminist beliefs of creator William Moulton Marston. Marston was born in 1893. When Homeward Bound first appeared in 1988, it forever changed how we understand Cold War America. Elaine Tyler May demonstrated that the Atomic Age and the Cold War shaped American life not just in national politics but at every level of society, from the boardroom to the bedroom. Her notion of "domestic containment" is now the standard interpretation of the era, and Homeward Bound has become a classic. 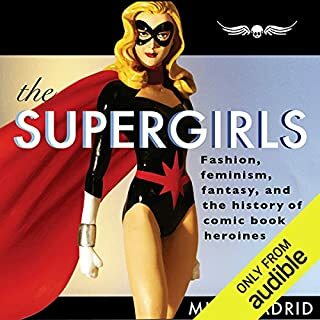 A riveting work of historical detection revealing that the origins of one of the world’s most iconic superheroes hides within it a fascinating family story - and a crucial history of 20th-century feminism. Harvard historian and New Yorker staff writer Jill Lepore has uncovered an astonishing trove of documents, including the never-before-seen private papers of William Moulton Marston, Wonder Woman's creator. Beginning in his undergraduate years at Harvard, Marston was influenced by early suffragists and feminists, starting with Emmeline Pankhurst, who was banned from speaking on campus in 1911, when Marston was a freshman. In the 1920s, Marston and his wife, Sadie Elizabeth Holloway, brought into their home Olive Byrne, the niece of Margaret Sanger, one of the most influential feminists of the 20th century. The Marston family story is a tale of drama, intrigue, and irony. In the 1930s, Marston and Byrne wrote a regular column for Family Circle celebrating conventional family life, even as they themselves pursued lives of extraordinary nonconformity. Marston, internationally known as an expert on truth - he invented the lie detector test - lived a life of secrets, only to spill them on the pages of Wonder Woman. The Secret History of Wonder Woman is a tour de force of intellectual and cultural history. Wonder Woman, Lepore argues, is the missing link in the history of the struggle for women’s rights - a chain of events that begins with the women's suffrage campaigns of the early 1900s and ends with the troubled place of feminism a century later. The story was interesting, but I was so annoyed by the narration, I had a difficult time getting into it. She should have hired a professional reader. She alternated between mumbling, as if she was bored with her own book, and YELLING. 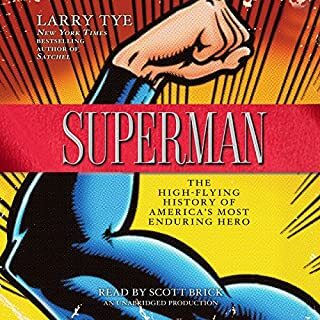 I can't recommend this audio book unless it's rerecorded with a better narrator. Listen to a sample before you buy this one. Love, Love, Love the book! Hate, Hate, Hate the performance. The author's voice is not trained in speaking at all (sorry but it is true.) I finally purchased it in hb from Amazon so I could actually enjoy the AMAZING wealth of knowledge I gained from reading the book. WONDERFUL book, HORRIBLE performance. Would you consider the audio edition of The Secret History of Wonder Woman to be better than the print version? No, I don't think I would. I haven't seen the print edition, but I imagine it, and hope it is filled with frames from wonder woman comics. Many have complained about Jill Lepore's 'voices' and I understand that comment, I didn't mind them so much, and sometimes thought they were great because they gave that 1930's/1940's comics, newspaper, radio etc announcer 'feel' to the book. Sometimes they were a little over the top... They helped me to imagine frames of wonder woman comics in the print edition. My complaint, as someone with a background in audio production and narration recording - is far more technical. Jill has an outstanding enthusiasm for her subject - it's why I bought the book - seeing her interview with Jon Stewart got me excited about this book. I think a better performance could've been drawn out of her by the right director and in a better studio environment. There's too much room in the overall sound of this book. She's too far away from the mic, the walls of the room are too hard and the room is probably too big. I perfer readers who feel like they're sitting right next to me. As I said in my good reads review "The recording is too roomy, like the author just set up in her living room, which has no rug, no curtains and a lot of glassware laying about... If the director or engineer were there at all providing direction, they must've nodded off a few times." The edit is good. I've sat through audio books with glaring edit mistakes ie. "I've sat thr-I've sat through audio books..." that's assuming the editor took all the best takes. It would bring be out of the book a little when I found myself thinking 'why did no one ask for a pick up of that sentence?!' All this said - the content was engaging enough that this fell away most of the time, and I, as a slow reader, and someone with too much going on, never would've been able to read this book so soon after publication without the audio edition, so I will take what I can get. I do recommend having a listen to the sample so you're prepared for what you're getting into. I loved this book, despite the audio quality and I found it a great gateway into further study of the various feminist movements (I like to point out - all your favorite feminists make an appearance!). I was never a big Wonder Woman fan, but thought this story behind her creation would be fascinating enough - and it was - and now I'm willing to give her a second chance. Book was fantastic! Audiobook was money wasted! Many secrets were revealed throughout, except for the one presented on page 297 in the epilogue. The very last line of the book reads: "This was, at best, a half truth." Who would you have cast as narrator instead of Jill Lepore? Actually, I fully expected that a male would have been the reader. The book is definitely more about Wonder Woman's creator, Charles Moulton Marston, than it is about Wonder Woman herself. That is how I somehow jumped to the conclusion of a female narrator. However, a woman with a commanding voice would also have been a fitting choice – perhaps Suzanne Toren. Ms Lepore has penned a well-researched and quite interesting book, but as for narration, she should stick to writing. Her voice is not trained for this art. I know because I have similar vocal resonance – acceptable some of the times, but with a shrillness that seems to pop up out of nowhere. I wonder what or who encouraged Ms Lepore to even consider narrating her book? Has she ever done so before? Do audiobooks have editors or voice coaches? If so, someone appears to have made a wrong call. Did The Secret History of Wonder Woman inspire you to do anything? The book inspired me to relish all of the Wonder Woman lore that I have accumulated in my 75 years. Wish I still had all of those comic books that my uncle in New Orleans bought for me when I was about 4 years old – and not just for their monetary value. Ms Lepore's book re-opened my long-standing search for more and more info on my heroine. Boy, oh, boy, did it ever fulfill and more! If Mr. Marston's lifestyle inspired him in any measure to create a strong, feminine, and just superhero, it made me wonder who or what would he have spawned had he been meek and perhaps even puritanical. It might not have made any difference, but interesting in that his revealed lifestyle seemed to play such an important part in the creation of Wonder Woman. Buy the book! Skip the audiobook! 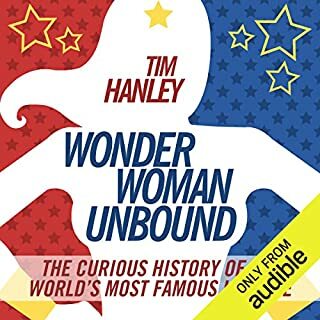 The story behind the creation of Wonder Woman is interesting, but I suspect this book is better in print than in audible format. This is, after all, about a comic book--a visual art--and hopefully the book included many of the actual strips. 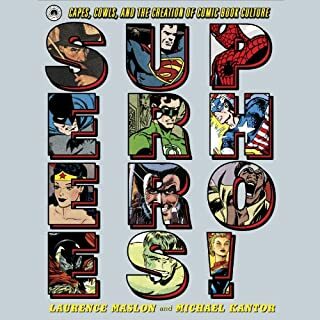 When listening to this book I wished I could see the comic book section the author was referring to. 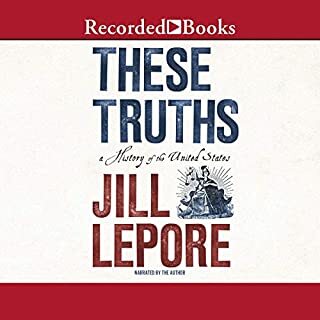 As to the narration, there have been times when I was thrilled that the author read his/her own book (think Eudora Welty), but Jill Lepore doesn't do her book any favors. She is a narrator who too often indulges in goofy voices for emphasis. I heard her interviewed on Fresh Air about Wonder Woman's release, and although the interview led to me purchasing Wonder Woman on Audible, as the interview progressed the author's excitement over her discoveries became more and more unhinged. So it was, when the Audible book began, I fervently hoped I'd misunderstood when the intro seemed to indicate that Jill Lepore would be reading the book. Sigh. I wish I had skipped the Audible and checked the actual book out of the library. That's my recommendation--do what I didn't. I had no idea how much story there was behind Wonder Woman and I enjoyed learning about it. There were topics and stories that were repeated, and I found that frustration. The narration of the audio version is fair, at best. The narrator is overacting to such a degree that it makes the book unlistenable. That is a true shame because at times when the narrator "let's her guard down? ","becomes to fatigued? ",or"just plan doesn't get carried away" there are the slightest glimpse that show she is a gifted storyteller. But these times are just that glimpses lasting only long enough to grab your attention before the frustration of the overacting beings a new. I understand why such narration happens; this is a book about Wonder Woman's origin, not about the character herself per say. It the story of a feminist male creating the greatest character ever who can be conquered by no one and happens to a female. It's a great storyline but I am afraid that the narration was to distracting for me to take much from the book. It's a true shame. I will look for other book about WW origins because it seems interesting the man who created the lie detector also created the lasso of truth . 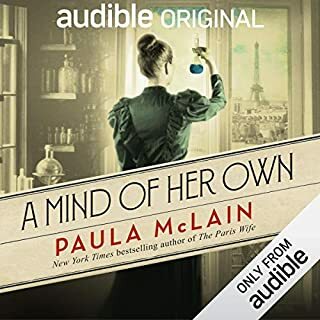 I will also try this narrator again on other works because as I said she seems gifted but as this story and this narrator stands the work is unlistenable. Ms. Lepore has written a WONDERful book, and the history of comics, women, and, in fact, the world should be grateful. I certainly am. That said, her reading style, and lack of skill diminishes and infantilises a genuinely riveting, adult, important narrative, and, a mere 2 hours in, I cannot bear to listen to the rest. I have purchased a hard copy, and will re-read from the beginning, as her bizarre and childish attempt has all but ruined the first 4 chapters. Please keep writing, but PLEASE hire a voiceover professional for your next masterpiece? You deserve it. This book weaves together a story of a happy if unusual household (one man, two women, four children) who were creating and living through the "first wave" of 20th Century feminism in the United States with the story of the creation and evolution of a famous comic book superhero(ine). One of the women in the unusual household was the niece of Margaret Sanger, a passionate advocate of the right of women to choose if and when to become pregnant. Suffragists and women's rights advocates of different viewpoints and factions drop frequently. This complicated story is well-told. The narration is good most of the time. However, when rendering dialog or, more accurately, reading the written words of a character, the narrator puts on a loud, hectoring tone that I found unpleasant. At first I thought she was portraying the central character in a way that was meant to convey something important about him; but, in fact, she uses the same tone for numerous different characters. These passages are usually brief.